D-Link this week unveiled the Taipan, a new modem router that is said to be the first in the world to feature AC3200 Tri-Band wireless technology. In addition to the 2.4GHz band and 5GHz band commonly found on most modern routers, the Taipan boats a second 5GHz band. Theoretically speaking, this allows local network speeds of up to 3.2Gbps per second, with 1.3Gbps on both 5GHz bands, and 600Mbps on the 2.4GHz band. Rather than directly speeding up a user's network, this provides additional bandwidth to reduce congestion when multiple devices are simultaneously connected. As such, a user with just two devices on their wireless network may not seen a boost in performance from a Tri-Band solution when compared to a more typical Dual-Band modem router. While D-Link's own DIR-890L and Netgear's Nighthawk X6 have both used Tri-Band networking technology, both are standalone routers that require a separate modem. 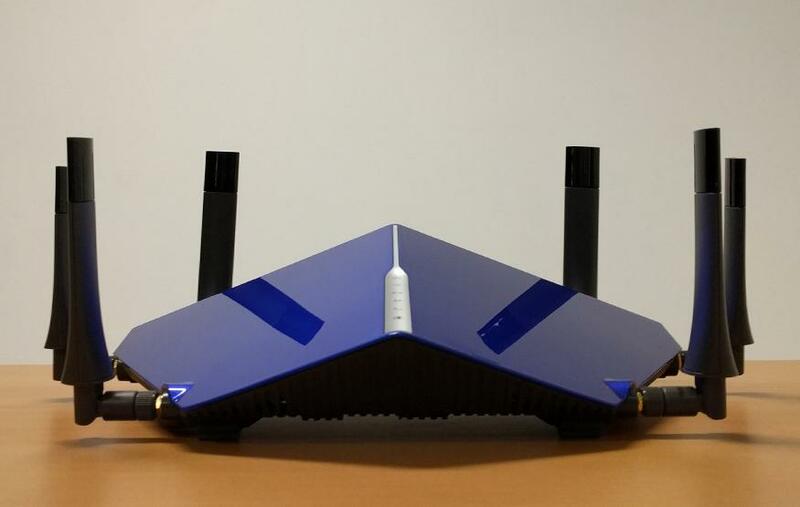 The Taipan is the first Tri-Band modem router hybrid.